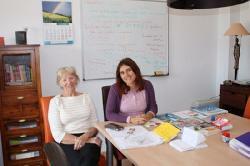 This is the most successful programme for adults who would like to learn Spanish step- by-step without pressure. I think the easy way for mature students to learn Spanish is "little and often". I aim to make it fun too and give you a sense of achievement after a very short time. 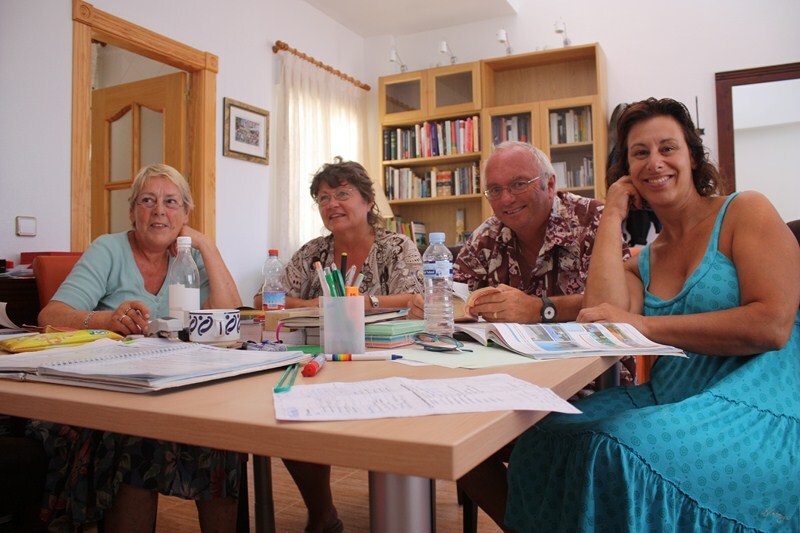 The One-to-one Lessons are for individuals or couples who would like to learn Spanish on their own, a one hour lesson per week will be enough. The Small Group Lessons are for 4 to 6 people, they have an hour and a half session per week. There are different levels available (beginners - intermediate – advanced). I would like to meet you for a little chat in which I will explain to you how I work and my teaching method. I will assess your level to decide which one of the existing groups will suit you best. I think it is very important to guide you on how to use your Spanish outside the classroom, telling you everything you need to do to get the most from your lessons. Learning a language is much more than grammar and vocabulary. Theory and practice have to go hand in hand in order to get the best results. In order to become fluent in Spanish in 2 or 3 years you need to have one session weekly and 30 minutes study on your own 4 days a week. That will be enough no matter how clever you are!